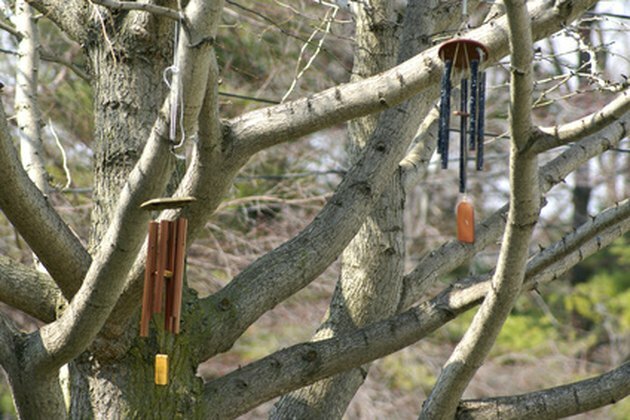 Wind chimes are exposed to a variety of elements that can tarnish or discolor their veneer. Bird excrement, acid rain, water marks and dirt can all mar the chimes' shiny metal finish. Though none of these blemishes affect the way the wind chimes work or sound, they are unsightly, especially if you keep your wind chimes at the front of your property. 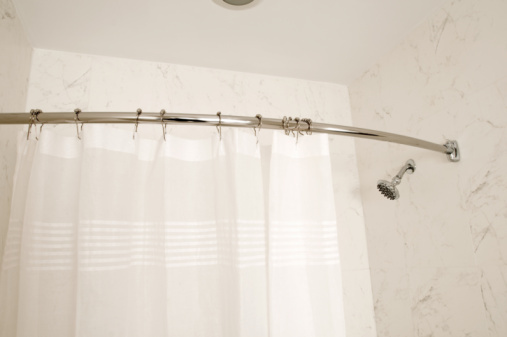 Since metal is naturally resistant to staining, dirt and discoloration can be removed with simple methods using materials you may already have. Chimes can be cleaned with simple materials. Wet a paper towel with water. Scrub any hard bits of dirt or bird excrement so that there is not debris on the chimes. You may need to press hard, but not hard enough to dent the metal. Dry the metal with another paper towel. Spray WD-40 on the soft cloth. Rub the cloth over the metal, especially any remaining stains. This will remove the water and acid rain marks and any discoloration or tarnish. When marks are gone, blot remaining oil with a dry paper towel. Pour a small amount of wax onto the other soft cloth. Rub the wax over all the metal on the chimes. Blot the excess wax with a dry paper towel. Wax will protect your chimes from further discoloration or tarnishing.